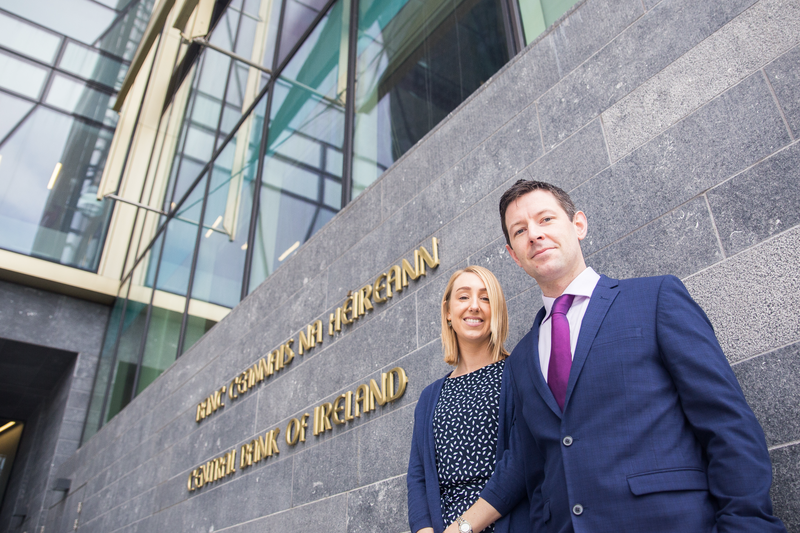 Serena de Stacpoole, Head of Marketing, Circit and David Heath, CEO Circit at the Central Bank this morning. Circit has announced it has been granted registration as an Account Information Service Provider (“AISP”) by the Central Bank of Ireland (“CBI”). Regulation by CBI paves the way for Circit to connect auditors with independent sources of audit evidence held by the banks of their client companies. Circit was founded in Dublin in 2017 to introduce technology into the audit process to enhance efficiency; reduce the potential for fraud, and minimise cost for all stakeholders in the audit process. Circit’s secure, easy-to-use platform transforms the audit process for its users, removing the fraud risk associated with the paper confirmation request process and enabling the process of audit confirmation requests on a real-time basis. Circit’s platform can reduce confirmation and reconciliation times from days to seconds. Used by auditors, solicitors and banks, the platform removes the administrative burden from all parties and enables a seamless, hassle-free confirmation.